Apple is preparing to release its iPhone 8 next month, in what is expected to be the company’s biggest smartphone launch in years. Apple celebrated 2017 as the tenth anniversary of the original iPhone , which was first announced by Steve Jobs on 9 January 2007, and released later that year on June 29. There are rumors that the upcoming iphone will be named Iphone X where ‘X’ resembles the 10th anniversary of iPhone. 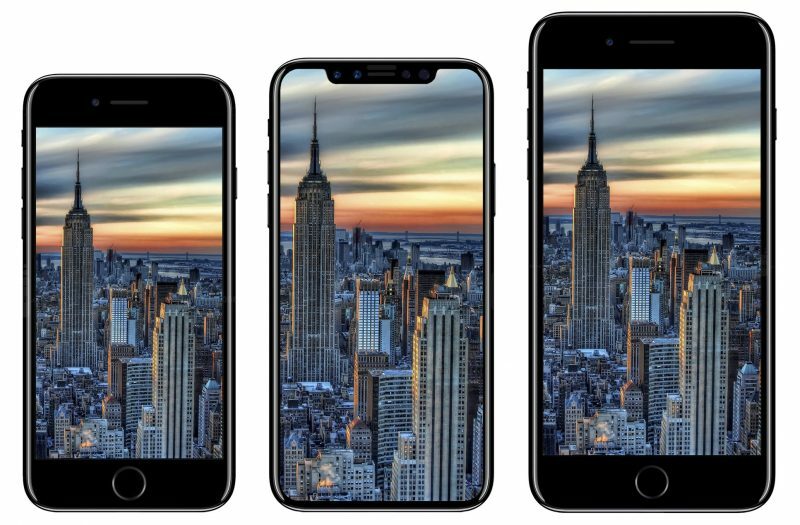 It is likely the “iPhone 8” will be released alongside the “iPhone 7s” models, which will probably retain their 4.7-inch and 5.5-inch screen sizes. While thought to continue using LCD panels, the refreshed iPhones could upgrade to OLED, if Apple is able to secure a large supply of the panels from Samsung and other producers. According to some rumors, we’d expect the iPhone 8 reveal date to be either Tuesday, September 12, or Wednesday, September 13. And while analysing previous iphone’s release dates we think that the iPhone 8 release date will be either September 22, or S September 23.